So a week in a beautiful Trullo in Puglia is over and I’m drooling over my photos of magnificent delights from the vegetable garden (not complaining, as I’m now sitting in a hotel overlooking the Bay of Naples, assuming Vesuvius isn’t going to chose today to start erupting again and wondering whether pizza for dinner might be a good idea). 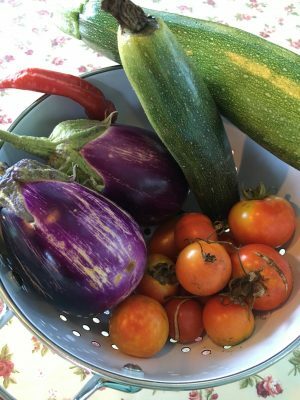 I took the Trullo owners at their word and harvested aubergines, courgettes, tomatoes, figs and daily eggs from the chickens in the garden. 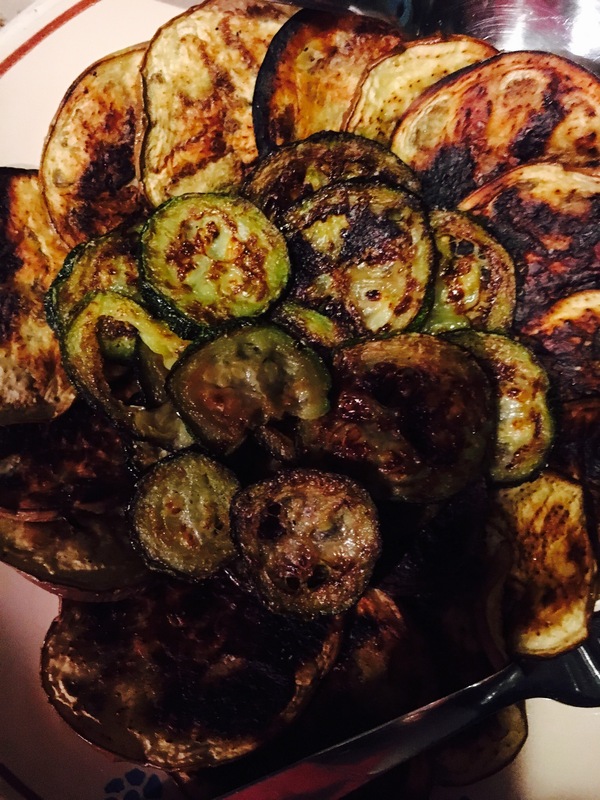 I don’t mind at all cooking on holiday but the produce in Puglia was so delicious it really didn’t need much effort from me, more just a question of putting lovely food on plates and seasoning it a bit. We bought a generous portion of homemade mozzarella from a little shop in the stunning hilltop town of Altamura and a large bag of tomatoes from a man who wouldn’t sell us less than a kilo. 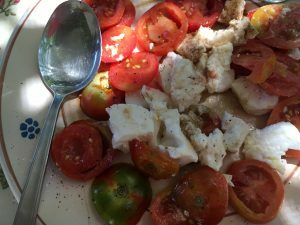 So this kept us in tomato and mozzarella salad on a daily basis – a particular favourite of Missy B’s. Just dressed with salt and pepper and a slosh each of local olive oil and balsamic vinegar. 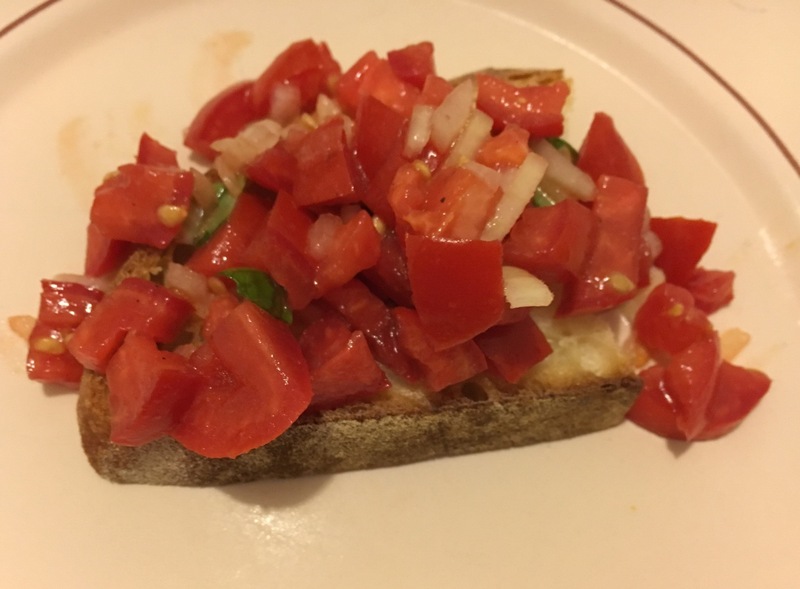 But there were many tomatoes in the garden too, so there was bruschetta at any opportunity! I forced fruit salad on the family every day, making sure to select the ripest figs from the garden – possibly the best I’ve ever tasted. Can’t upload that photo for some reason. Cor, even I can see the loveliness in those aubergines!